Question: I feel like there is some thing really big coming. Is that correct? You are very correct that there is a major activation that is coming into beingness around, during and after what you would call the “time” of the Spring Equinox. There are two reasons why activation energy field is being released around that moment of the NOW. 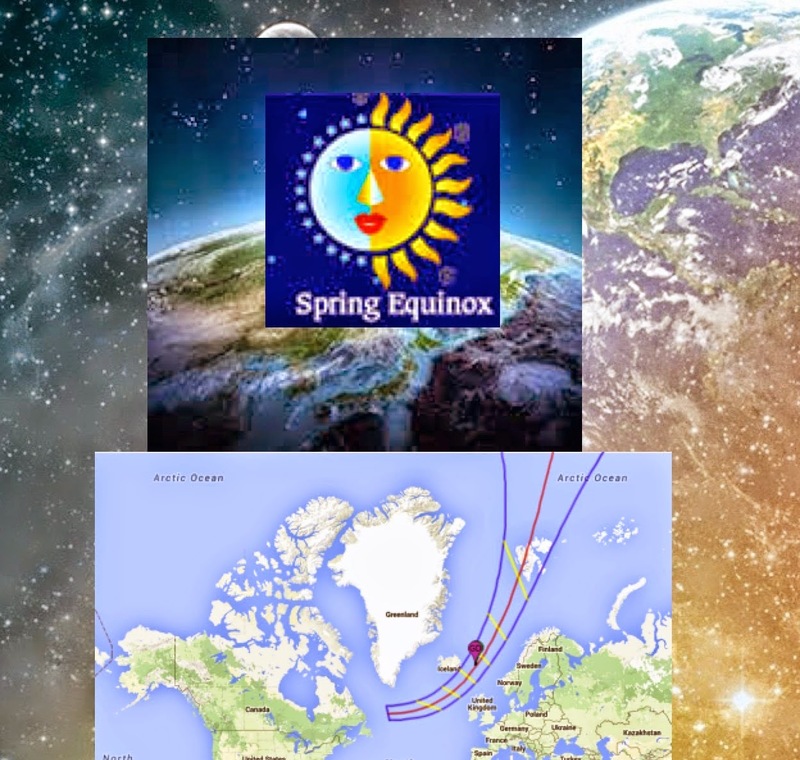 One reason is because it is the Spring Equinox, which is signals the end of the long winter and the beginning of spring. Hence, it is a Now in which people are more happy than usual. People who have suffered through long winters, just as the winter in the Northeast of the United States, are happy to welcome the return of spring. Winter represents the season in which whatever is too old or has reached the end of it cycle is released form the 3D Matrix. On the other hand, spring is a time of birth and rebirth. New animals are born and plants that slept through the long winter blossom into the “flowers” of spring. During this Spring Equinox many of the old ways of thinking and perceiving must be “let go,” as they will not fit the new paradigm. Spring of 2015 will welcome new way of thinking so that you can perceive the higher dimensions. Of course, your thoughts influence your perceptions, AND your perceptions influence your thoughts. When your thoughts are, “Okay, NOW we are going into the next phase, they influence your perceptions to be aware of what they will discover in the new season. Then, as more and more people perceive a shift, it makes it safer for other to allow their new hopes and desires to manifest. Hence, as the winter ends and spring begins there is an opportunity for new thoughts and new expectations to enter your consciousness. Once you expect something new, you will look for signs of something new and fresh to enter your reality. Therefore, spring is a perfect moment of the NOW to bring in energy fields that are filled with unconditional love and Violet Fire. Along with that beginning of spring is the solar eclipse that is occurring within the same NOW. 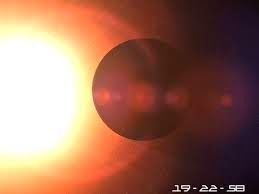 A Solar Eclipse represents a reset. You are all aware that sometimes your computers will get confused, and you have to turn them off to reset the system. Then turn them on again. When you reset the Sun with an eclipse it is very different then when you reset the Moon. However, the solar eclipse and the lunar eclipse are close to each other within your time zone. The solar, male, Sun, represents the initiation of the shift from the current energy field into a higher frequency energy field. The Lunar Eclipse, female, brings in and absorbs the energy fields that you have been living in from the time between the Solar and the Lunar Eclipse. In that “in between” you have a chance to integrate the energy into your body, your consciousness, your perceptions and your daily life. Another very important influence on this incoming energy field is that Uranus and Pluto in the sky are finally completing their dance of squaring each other by being 90 degrees apart from each other in the sky. In order to best explain the meaning of Pluto square Uranus, we will look at the two planets individually. Therefore the release of certain energy patterns will be released within the NOW of the end of the winter cycle and beginning of the spring cycle of the solar eclipse. Now, let us look at the sign in which each of these planets are currently residing. 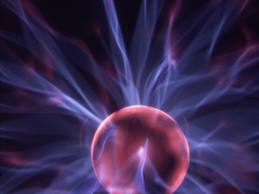 The sign of a planet is the “energy field” which is constantly influencing that planet. Both Pluto and Uranus have been in their “signs” for half of the cycle of that sign. (15 degrees of the 30 degrees of each sign.) Pluto is in Capricorn. Among other things, Capricorn represents world governments. 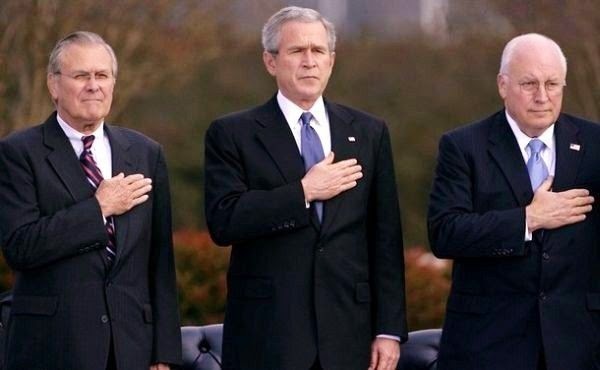 Pluto is half way through its process of the transmutation process of world governments. A square, 90 degrees apart, represents potential power. Each aspect can be represented like rivers. A conjunction, 10 degrees, is like two rivers traveling side by side. A trine, 120 degrees, is the best way for two rivers to merge into one river and a square, 90 degrees, is much like a waterfall. If you try to ignore that you are coming to a waterfall, you could easily drown. However, if you build a dam at the base of the waterfall, you will gain great power. To summarize, Uranus is ready to bring in the transit NOW to begin a NEW way of thinking and perceiving reality. 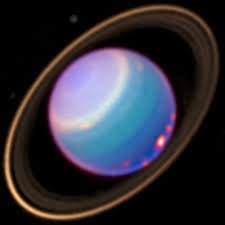 The energy of Uranus cannot be ignored, as it WILL influence your life whether or not you are ready. 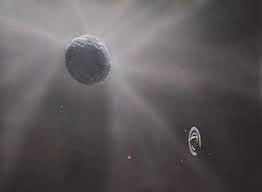 The energy of Pluto, on the other hand, is very quiet, but moves into your deepest and highest states of consciousness to transmute your experiences and reactions to life. Uranus says, “There is not choice. It is the NOW,” and Pluto says, “Whatever cannot be transmuted must be released.” Therefore, the combination of these many, simultaneous energy fields represent a radical reboot to transmute the structure of personal, governmental and planetary consciousness. Question/Comment: This is the last square of the seven. The Pluto/Uranus square – this is the last of the seven. Seven, of course, is a very powerful number. The number 7 often represents the seeker of the truth (Uranus), and is willing to overturn every rock to find that truth (Pluto). 7 is a metaphysical, and hence a multidimensional, number. Much like Plutonian energy, the number 7 often represents alchemical changes. 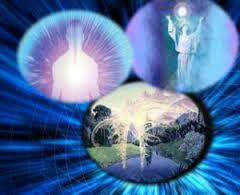 There are great alchemical changes that will begin to occur on a cellular level. In fact the changes will begin at the level of the elements of Earth, Air, Fire, Water, as these 3D elements transmute into 5D elementals. Therefore, as reality begins to shift, it shifts at the very beginnings of ALL life. 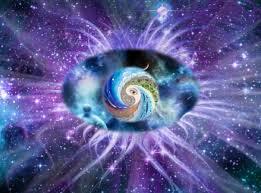 Everything on Planet Earth is a member of the Elemental Kingdom, thus everything is shifting. Those who are aware and prepared for the re-boot will shift as quickly as their physical bodies and psychological brain waves are able to embrace. 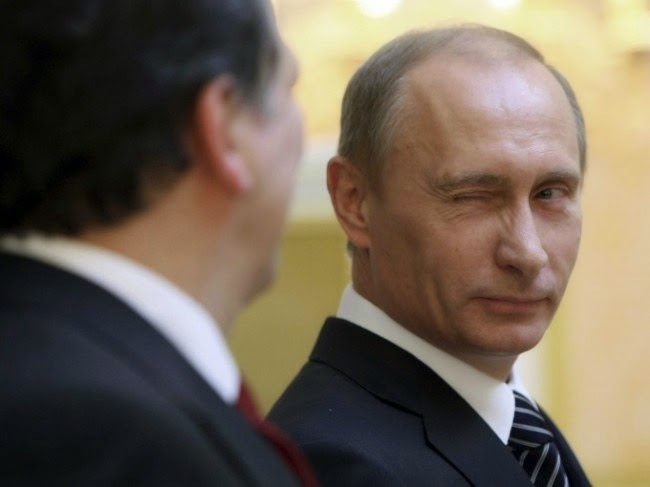 Then it will be their assignment to assist others with their reboot. The reboot will move through states of consciousness, which is why we instructed Suzille to write the long series on "States of Consciousness,"which begins in January of 2015 on this blog. We want people to realize that different states of consciousness activate different perceptions. Humans, even our own emissaries to Earth of whom you have spoken, will not be able to perceive these shifts unless they are in a fifth-dimensional state of consciousness, which would be at Delta or preferably and Gamma Wave Consciousnes. During this process it will be helpful if you allow your body to rest. Remember, when your computer is rebooting you are unable to use it. It may feel similar with your human form. Do not fight the feeling. Instead, meditate, relax, laugh with friends, eat sparsely and get a lot of sleep. In other words, the elements of your body will need to be still. Then you can meditate to expand your consciousness into a higher frequency of awareness. The energies will enter your form via your Pineal Gland, but the process will occur in your Multidimensional Mind. Your Multidimensional Mind will better grasp the situation as it resonates to the fifth dimension and beyond. Once the perception of your re-boot is stored in your Multidimensional Mind it can later be downloaded into your third-dimensional brain. Your Multidimensional Mind can accept the entire hit at once because it will come in as a blast of the Now. Your 3D brain or the 3D body could be harmed by that sudden download. 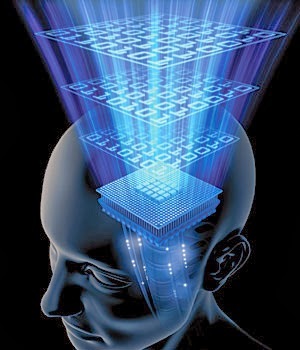 Therefore, the energy will first go into the multi-dimensional mind where it’s all stored in your personal “external hard drive.” Then your physical brain, the computer for the third-dimensional vehicle, can gradually download what your state of consciousness and physical form can safely accept. Finishing this jigsaw puzzle will take what you as humans perceive as time, but we as Arcturians and we as Galactics all perceive as “The Now.” Those that are in communion with their fifth dimensional, and beyond, expressions of SELF, will also receive the energy within the Now. Those of you who are consciously connected with your Multidimensional SELF will be able to experience a unique experience of feeling this energetic download in the Now. But you will also recognize that it will take “time” for this translation of energy to be shared on the third and fourth dimension. Question: Is there a danger we need to prepare for? We do not feel danger. If you are afraid, your consciousness will drop and you will miss the entire experience. 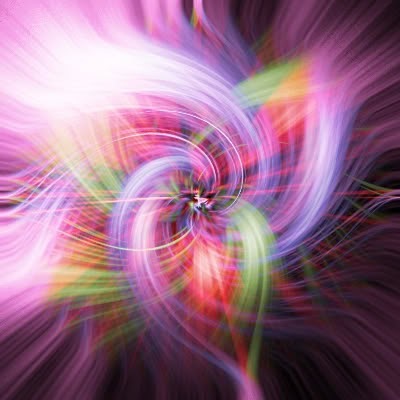 However, if you embrace the energy filed of Unconditional Love and encircle yourself in the Violet Fire, your transmutation will feel like infinite love and transmutation—which it IS! Also, focus on your Multidimensional Mind so that your 3D brain doesn’t get upset trying to take in an energy field that is beyond time and try to place it into your 3D brain, which is prepared to accept that frequency of energy. There are certain protections and firewalls that occur at certain levels of initiation. As we have said, we have downloaded a fragment of our multidimensional essence into the physical bodies of our “volunteers to Ascending Earth.” This download is more than just DNA. We/YOU have actually sent a percentage of the essence of your higher dimensional SELF into the earth vessel you are currently wearing. Therefore, our “volunteers to Earth” have two sets of DNA. One is in the third and fourth dimension and the other is fifth-dimension. These two frequencies of DNA are intertwined, but your third dimensional machines can only view the 3D strands DNA. You, our volunteers, will be among the initial holders of these new energy fields because you have already spent your entire life holding two different frequencies of DNA. The component of your DNA that will contain this energy is what has been called “junk DNA.” This DNA, erroneously labeled as junk, is actually 97% of your DNA, which contains small, multidimensional wormholes that are the foundation of your Lightbody. It is through these wormholes that you will integrate the energy field of the eclipse, as well as all the other marvelous energies stored in your Multidimensional Mind. 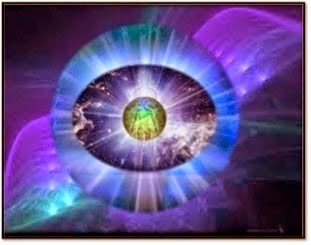 When you are ready, you will slowly release your fifth dimensional essence into your 3D brain, and then into your 3D body via the “wormholes” of your Junk DNA. Question: Is it true that our process begins when we merge our thoughts and emotions to create thoughtforms of Ascension? Also, when you couple your thoughts with your emotions, you create thoughtforms that precede you through your life. In this manner you can remember how to be the creator of your own life. Do you remember how often your fell when your learned to walk or how difficult it was to learn to talk? In a manner, you are going through that same process NOW. You are remembering how to walk into and communicate with a higher frequency of reality that you have largely forgotten. Therefore, you will likely become confused or doubt your self, which is when you call in unconditional love and the Violet Fire. The unconditional love will allow you to “make mistakes” without any judgment, and the Violet Fire will aid you with your transmutation back to your true Lightbody. Many of our dear volunteers to ascending Earth are remembering that time is an illusion and that living in the NOW greatly assists their conscious reconnection with their true, Multidimensional SELF in the higher frequencies of reality.